Career planning is, first and foremost, your own responsibility. It should not be delegated to your employer, human resource managers, or career specialists that merely come during your work performance evaluation. This becomes more important at a time when the country is besieged by symptoms of a global economic crisis, such as mass layoffs and rising joblessness. In an uncertain and ever-changing workplace environment, we need to wake ourselves up to take action in order to remain productive and employable in the future, or until our bodies cannot continue working. Career planning involves how to beat and manage stress. This will help you to stay focused on your goal and not become passive or unstable. Career planning involves being aware of yourself and what is going on in your organization, industry, economy, and society in general. This helps to make you recession-proof. You cannot do everything all at once. Try to focus on what you do best. In addition, try to balance your weaknesses and strengths. You can engage a career counselor to guide and encourage you in your career planning options, but do not let them interfere. 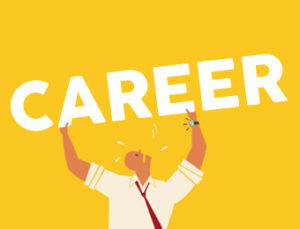 Career planning means the willingness to accept and live with the consequences of your career options and choice, rather than merely depending on other people. Career planning is being accountable rather than subjectively blame others when things go wrong. It means taking charge and not waiting for someone else before you move. When is the best time to make a career plan? Ideally, it is best to do it while you are still employed in a company, because you have more time to think about it before you take a plunge.